Sometimes we encounter clients who are stuck in recurring stories and patterns or cannot access the deeper levels of meaning embedded in their challenge. Visuals become a non-threatening way of discovering and articulating what may be holding them back and what could move them forward. The use of images can also unleash the creative power of the coach in taking on a variety of coaching challenges using the power of metaphor to lead the client’s self-discovery and solution creation. In teams it can create safer ways to bridge misunderstandings and promote cohesion around what’s important. The content of this session will focus on providing deep personal reflection/exploration and gaining comfort with conducting coaching conversations via visuals. This will build on Ellen’s 2017 presentation which used a card deck with a common set of images from a visuals vendor. In this session participants will gain exposure to a different methodology which uses greater variety in the types of images available. During the session, participants will explore the methodology experientially, then will share ideas that can enrich the range of applications with which they and their colleagues can experiment. This can also lead to a discussion of the advantages of each approach. Ellen is a business psychologist, ICF certified executive coach, facilitator and speaker. She works with leaders and their teams, both nationally and internationally, to create collaborative conversations, cultures and work climates. She uses an array of assessments, processes, concepts and tools that customize the path to outstanding results. She is particularly interested in using concepts and methods that are scientifically based, yet engaging and accessible. A primary focus is equipping leaders to spark employees’ creativity and connection to the business mission and purpose. She is a certified facilitator of the LEGO® Serious Play® method and tools and a Professional Innovation Advisor for the Basadur Applied Creativity process. 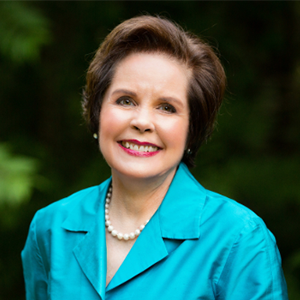 She also serves as faculty for Mercer Delta’s Executive Learning Center and CDC University. Her professional affiliations include the American Psychological Association, the Society for Consulting Psychology, the International Coach Federation and the Neuroleadership Institute. She also serves on the board of the Institute for Work Attitude and Motivation.